← A CALL TO ACTION OR NOT? Christians world-wide are commemorating Good Friday today. The day the Lord died to pay for human sin and to once and for all make it possible for sinners to be forgiven and to gain eternal life if they believe in who He is and what He did and live life accordingly. Sometimes I think the most difficult part of being a Christian is to defend an action that even seems unbelievable to believers. It is far too incredible to wrap my mind around the fact the Lord was willing to die on a cross; an unimaginable horribly painful way to die so that I might be able to someday gain access to heaven. If I can barely fathom an act I believe, how much harder must it be for someone who doesn’t really have a relationship with Christ to begin to appreciate? He doesn’t expect perfect. He knows we cannot ever do something to earn His love…it comes unconditionally. When I was much younger, Easter, while still celebrated as a day of great rejoicing when the Lord proved He truly was the son of God, meant dyed eggs, candy and a new outfit but as I grew and really chose to get to know God better, the meaning has vastly changed. The rejoicing this Easter Sunday will mean my day has come, perhaps not on this earth, but I know there is an eternity far more wonderful than even my best day on earth and that knowledge gives me a hope and peace I may never have known had I not developed a relationship with God. Even if you say you believe, until you get what having a relationship really means, you cannot imagine the difference it will make. 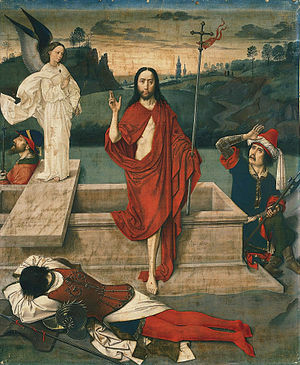 The resurrection seems even more implausible than death on the cross and yet Christians, not only believe in this miracle but realize our very salvation depended on its completion. To an un-believer, it must seem like we believe in voodoo, magic or simply are a strange cult- like group of people who accept our Lord’s death and resurrection much like blind followers who simply don’t know any better. But we do know better. This generation has never seen man trying to fly either but we believe it happened because we fly in airplanes today. We don’t see atoms but believe they exist. I have never seen more than pictures of a man walking on what appears to be the moon, but I do believe it happened. It is not strange for me to believe what I cannot always see. Have you ever met or seen more than pictures of Plato, Julius Caesar or Shakespeare? We have remnants left of their existence; writings, relics, and sometimes a whole culture. Christians have the same, relics, writings and an entire culture that believes that what happened over 2,000 years ago makes a difference in our lives. Christianity will always survive the questions as it has for 2000 years when just a few followers endured to develop an entire culture (Church) of believers. We may call our culture many names from Catholic, Protestant, Lutheran or Non-denominational but our foundation is firm…our God exists and on the day of His resurrection, we were given a chance to exist with Him forever. Yes, perhaps the most difficult thing about being a Christian is convincing a non-believer that once they learn, discover and form a relationship with God, life will never be the same, but I know one thing for sure…I would far more choose to believe and know the change it has made in my life, than deny it and wonder what I missed. It’s not as hard believing as trying to convince non-believers why but that has been the same since that first resurrection and it always will be. I am more than glad I am on the side that no longer wonders where I am headed but knows I have a chance to live with my Lord in eternity…because Good Friday and the miracle of the Resurrection have survived along with countless other prophecies to tell Christians everywhere…OUR DAY HAS COME…and will again.What about you? What does this miracle mean to you? What has been the most difficult issue about dealing with Christianity for you? 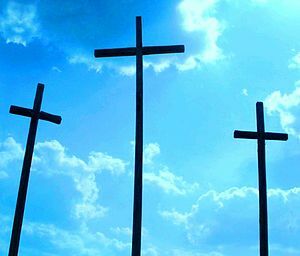 This entry was posted in Uncategorized and tagged Christian, Christianity, Easter, Good Friday, Issues Facing Christians and More, Jesus, Personal and Family Values, Resurrection of Jesus, salvation. Bookmark the permalink.